Roger Lee will retire on 1 January 2019 after more than 20 years with HKEX. The current joint-chief operating officer and head of markets at Hong Kong Exchanges and Clearing (HKEX) is due to retire at the end of this month, after more than 20 years with the exchange operator. Roger Lee will also step down as CEO of The Stock Exchange of Hong Kong (SEHK) and Hong Kong Futures Exchange (HKFE), from 1 January 2019 when his retirement takes effect. HKEX’s head of clearing and joint-COO, Calvin Tai, will take on the COO role upon Lee’s retirement, and will also assume the role of head of markets until a successor is appointed. Lee first joined SEHK in March 1997 and has held various senior roles with both SEHK and HKEX, including deputy head of global markets for Asia, co-head of information technology and head of listing operations. In June, HKEX extended the contract for its Group CEO, Li, for a further three-year term from 16 October this year until 15 October 2021. Li was appointed CEO in 2010, after serving in senior positions at major institutions including as chairman of JP Morgan China and president of Bank of America Merrill Lynch China. More recently, HKEX confirmed that it is teaming up with blockchain specialist Digital Asset to produce a post-trade platform utilising the technology. 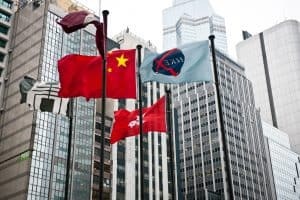 HKEX will trial blockchain technology to help complete post-trade allocations and processing for northbound trades under Stock Connect.